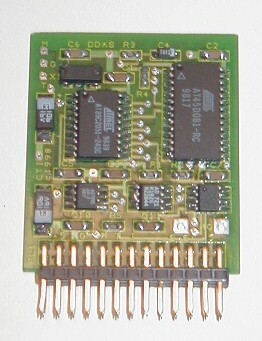 Surface mount component, low noise analog sensor electronics. 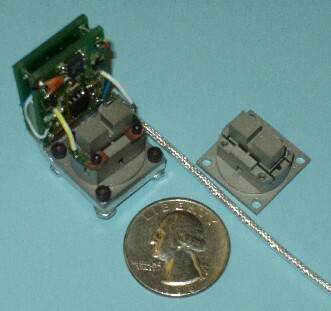 Shown at the right is the transducer excitation and measurement module for an experimental angular rate sensor (Conrad Technologies). Custom analog sensor data acquisition and storage systems for harsh environments and requirements. 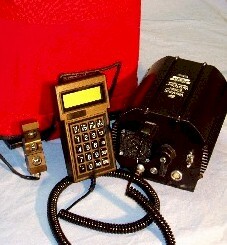 Sho wn below is a 64 channel data acquisition system with non-volatile storage that was mounted in the pelvis of an anthropomorphic manikin or crash test dummy (US Navy, Naval Air Warfare Center). 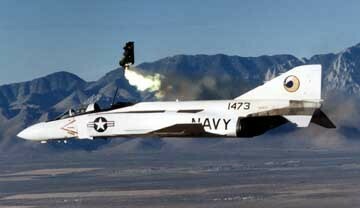 Shown is an in-flight test of the manikin and pelvis mounted data acquisition system (US Navy, China Lake, CA). Distributed data acquisition system (DDAS) features multiple cooperative modules with a programmable instrumental analog transducer amplifier, 12 bit analog-to-digital converter, supervisory microprocessor with trigger control and software UART, and 10 Mbyte of non-volatile FLASH memory. An non-contact dynamic measurement system for thoracic (chest) deflection in an anthropomorphic manikin or crash test dummy (DOT, NHTSA). 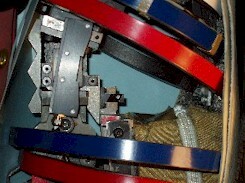 Three linear video sensors form a camera, below left, that ranges multiple illuminated source on the an interior of the chest wall of the manikin. 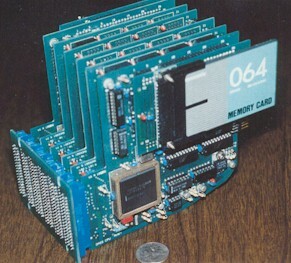 The processing instrument, below right, is self-contained, self-calibrated and provides non-volatile storage of the test results and tracking and processing of the video signal to output data communication via Ethernet.